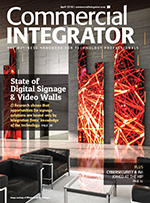 More AV integrators—of all sizes—are moving away from having their customers visit examples of the company’s previous work to get an idea of how they can outfit their facilities with cool new AV technology and bringing them right to their offices. That’s because we’re seeing more examples of integrators redesigning their offices so they’re working within the technology they sell. Allentown, Pa.-based Vistacom opened in Experience Center several years ago and it’s become a destination for customers who want to see and play with AV tech before buying it for themselves. Vistacom has hosted lunch-and-learn sessions at its headquarters for years, but the Experience Center has given them a new element since it opened in 2015. It consists of a board room, conference room, small huddle space and a larger training room, with the spaces spread throughout Vistacom’s 35,000-square-foot headquarters. That training room can also be used for command-and-control deployments thanks to a large video wall, says Boyer. In addition to serving as places for customers to see what Vistacom can create for them, employees use the rooms regularly. “We eat our own dog food,” says Boyer. “It gives us the opportunity to become very, very intimate with the products. Having all this technology in one space is definitely something that helps our clients but it also helps the people who work here too. 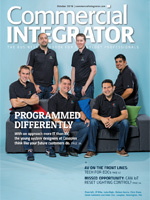 “The more our account managers can use the products, they can ask the right questions of clients. 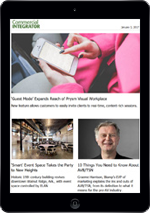 The more engaged you can get with your clients, the more probing questions you can ask, you can really get down to their business case and how we can provide solutions for them,” he says. Vistacom typically updates its Experience Center spaces with new technology at least once a year, says Boyer. The rooms can also be configured to meet specific client needs or show them how particular pieces of equipment will work for them. 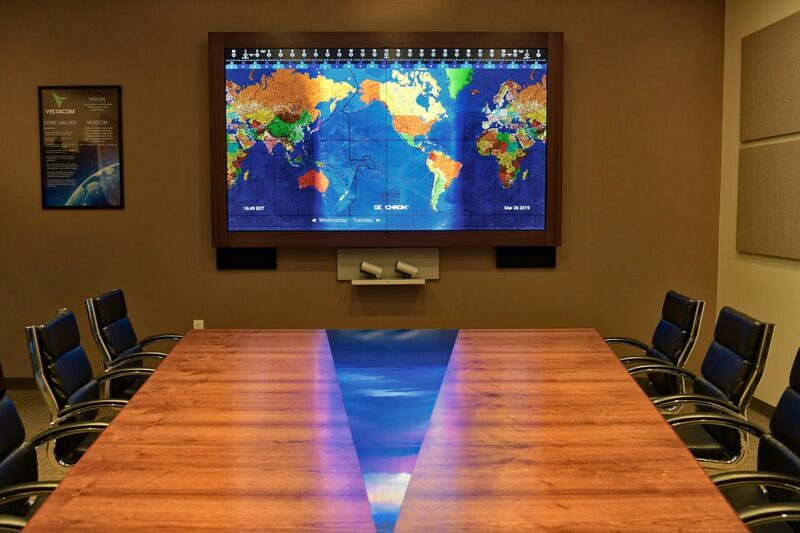 The most recent updates include a Prysm 86-inch collaboration board, a 98-inch Prysm display, a Cisco Webex room kit that’s equipped with Webex Teams, and a Poly unified communications experience that features one-touch-join capabilities for Skype, BlueJeans and other unified communications service providers. “Usually if we can get a client to come to our Experience Center and visit us, they walk away learning more, and more often than not, they choose to do business with us,” says Boyer. Vistacom factors client feedback into the upgrades it makes to the Experience Center, but the changes are usually based on industry trends, says Boyer. “We try to keep them as leading edge as possible,” he says. There’s a mix of old and new technology in the spaces, he says, “because not everything needs a refresh.” The Experience Center is also a good spot for Vistacom to test the system before installing them, says Boyer. Tours of the Vistacom Experience Center are by appointment only and most requests can be accommodated within a week or two. That means time is running out to book a tour of the space during the Vistacom Tech Expo, which is set for April 16. Tours typically last between one and two hours. There’s also a virtual tour available on Vistacom’s website. The Vistacom Experience Center boardroom is optimized for clear communication, whether it is face-to-face or via audio or videoconferencing, for large, sometimes formal, meetings. 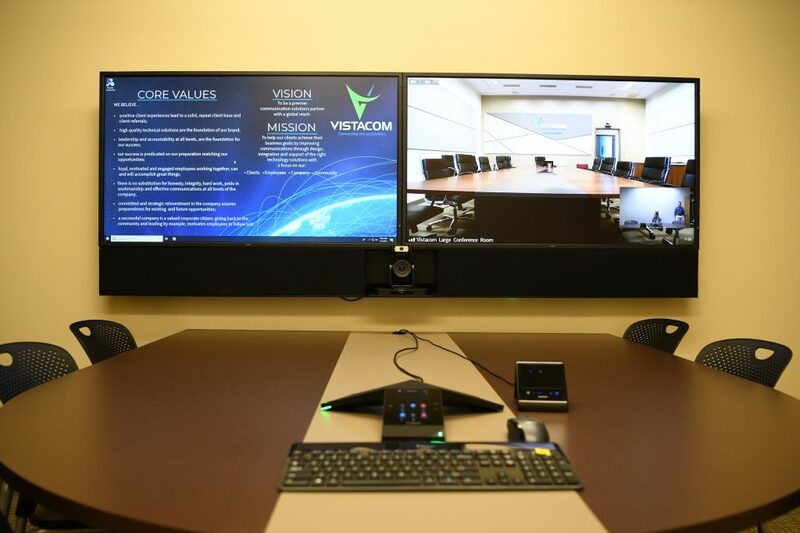 The UC&C Experience Center provides a place for Vistacom clients to see how interoperable UC systems will bridge the gap between all of their corporate communications. 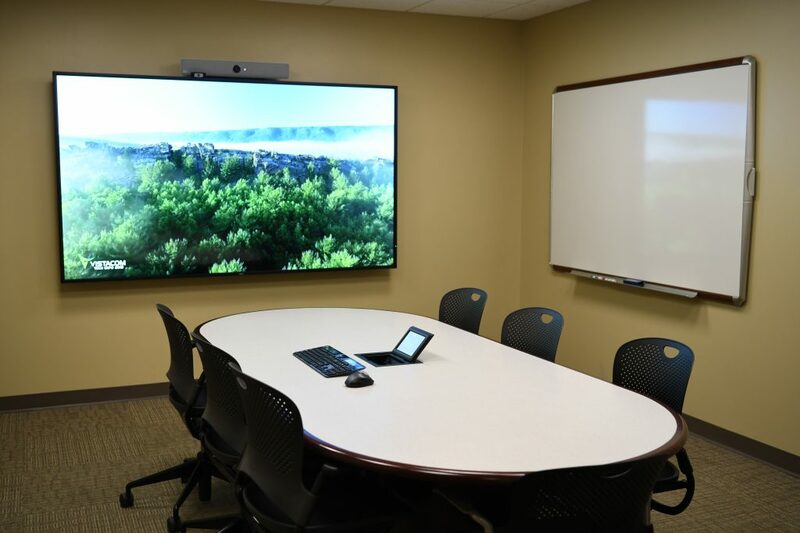 The conference room allows people to conduct casual meetings with technology that enables effective communication and collaboration. The huddle room is a small, collaborative space where employees can conduct fast, efficient meetings, using audio and videoconferencing capabilities and media sharing both internally and remotely. People meet, learn, share ideas and collaborate in the training room. Vistacom also uses this space to demonstrate and conceptualize control room solutions.